2015 album from the alt-rock band. 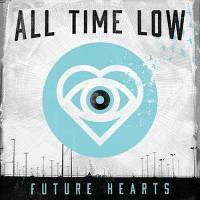 Future Hearts features the band's trademark sound and a few surprises along the way. Following the release of 2012's Don't Panic you can see the band's continued growth. The band worked with producer John Feldman (5 Seconds of Summer. Sleeping With Sirens, The Used) and mixed by Neil Avron (Fall Out Boy, Yellowcard, Linkin Park) to bring a truly remarkable new album.